As Sony was in a weird position after the DDOS or Lizard attack on 26th December, they are constantly trying to help gamers with new offers. Recently they extended their flash offer and now they took another step. 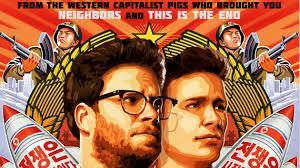 The Interview, a recent controversial movie is now available on PSN videos for the users to see. This is a recent movie related to the political scenario in North America. This movie got buzz because the president of North America, Kim Jong Un was portrayed in a real weird way in this movie. This is basically a comedy movie starred James Franco and Seth Rogen. The whole movie is based on an interview and things happen related to the interview. You can both rent and buy this game from PSN. This is not all, you will be able to watch this game for free if your PSN was down for more than 5 days in that incident.